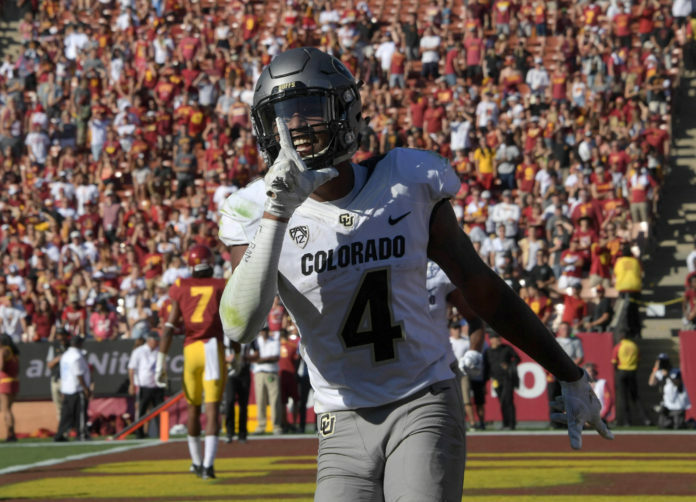 On Friday morning, the Denver Broncos waived injured wide receiver Kenny Bell and replaced him on the 90-man roster with Bryce Bobo, who was a wide receiver for the University of Colorado just last year, according to Ryan O’Halloran of the Denver Post. #Broncos waive WR Kenny Bell and sign former CU WR Bryce Bobo. … Bell hadn't practiced in camp. Bell, who was originally drafted by the Tampa Bay Buccaneers in the fifth round, was waived after he failed to play in camp in any capacity due to a nagging hamstring issue that kept him off of the field. Considering that Bell wasn’t improving, the Broncos turned to a familiar face in Bobo, who played in Boulder just last year and played well. Bobo originally went undrafted, but produced five touchdowns to go with his 62 catches for 693 yards after starting in all 12 games in his final year in college. He became the prime candidate to replace Bell on the 90-man roster. Bobo, who will wear no. 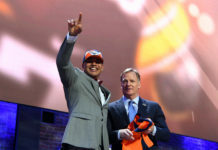 13 with Denver, is a 6’2″ first-year receiver who sports a 210-pound frame. 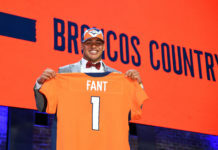 He should give the Broncos defense some extra difficulties to deal with while also proving to the rest of the league that he is an NFL-caliber talent while spending time with the Broncos at camp. Denver’s receiving corps are deep, with Demaryius Thomas and Emmanuel Sanders the clear-cut Nos. 1 and 2, and then Courtland Sutton and DaeSean Hamilton will likely be Nos. 3 and 4. That leaves seven men battling for the few, final spots on the roster. If Bobo can contribute on special teams, that will certainly help his cause in making the 53-man roster when that’s all decided in late August.